Each breeding season for wild birds brings panicked queries to the experts by countless thousands. Finding bird eggs in a nest with no parents in sight is a common spring occurrence that often concerns wild bird enthusiasts, who worry about the welfare of the eggs. Sadly, rescue efforts of well-meaning folks usually result in tragedy for baby birds. When humans meddle with wildlife, they’re usually not doing the critters any favors. The best way to handle your discovery is to walk away immediately -- and hope for the best. Most folks don’t realize that so much as touching a wild bird’s nest, eggs or young is probably a violation of federal laws. U.S. native species as well as resident game, endangered and threatened birds are protected by the Federal Migratory Bird Treaty Act. Under this set of regulations, it’s a federal offense to touch, remove or possess the nests, eggs, babies, bones or feathers of these birds without a permit. Most are further protected by state laws. The only exceptions to these laws are non-native species such as the pigeon (Columba livia), European starling (Sturnus vulgaris), house sparrow (Passert domesticus) and wild turkey (Meleagris gallopavo). Because the parents aren’t anywhere in sight for more than a few moments, people may conclude that they have abandoned the nest. Unless you saw the dead parents, abandonment is rarely the case. They’re most likely watching and worrying close by, and will return to the nest after you leave the area. The parents of most wild animal babies leave their little ones for extended periods to gather food. 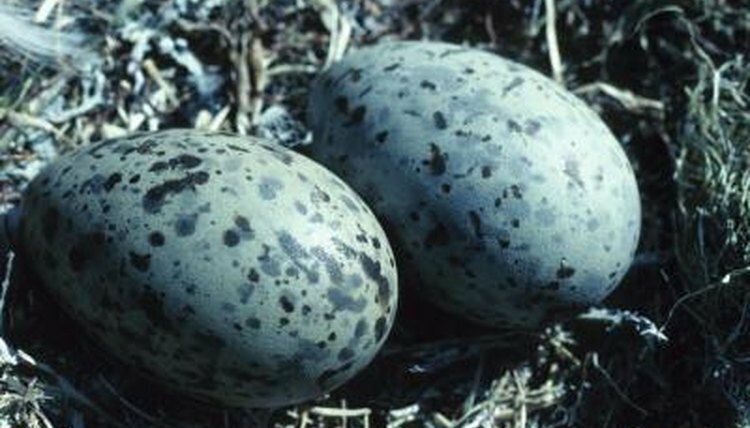 If the incubation of the eggs was interrupted resulting in a truly abandoned nest, it’s probable that the embryos are dead. The only time robin parents abandon the nest is when they sense that their offspring face low likelihood of success. Uninitiated humans probably won’t have more luck raising baby birds than their parents did. Wildlife rehabbers rarely if ever attempt to incubate orphaned wild bird eggs. An incredible investment of time and effort must be dedicated to proper around-the-clock care, constant turning, proper temperature and exact level of humidity required for successful brooding. If an egg has been handled by humans, it’s almost a given that the delicate developing embryo has sustained a sound shaking, damaging the fragile interior membrane. Such a baby is practically guaranteed to be a victim of severe deformities, should he hatch. Even if you could succeed with incubating a viable wild bird egg, the nestling’s shot at survival would be minute. Feeding is your next monumental undertaking. Dietary requirements of wild baby birds are extremely specific and vary from one species to the next. Contrary to what many people believe, all birds don’t live on worms. Most babies need a diet of various live insects, spiders, fruits and grains regurgitated down their gullets by the parents. This must be repeated a few times each hour, 16 hours every day for two weeks or longer. No wild creature desires human handling, and many simply can’t tolerate that kind of stress. People simply aren’t acceptable parental surrogates. Baby birds see and imprint on their parents within moments of hatching. As they fledge, babies depend upon the parents to lead them to different safe spots for the night, teach them to recognize and find food and water sources for themselves, instruct them in the fine art of avoiding and evading predators, as well as other life skills they’ll need for survival. Northern Prairie Wildlife Research Center: How Do I Care for an Abandoned Nestling? Wild Bird Watching: I Found a Bird Egg, How Do I Care For It and Get the Egg to Hatch?